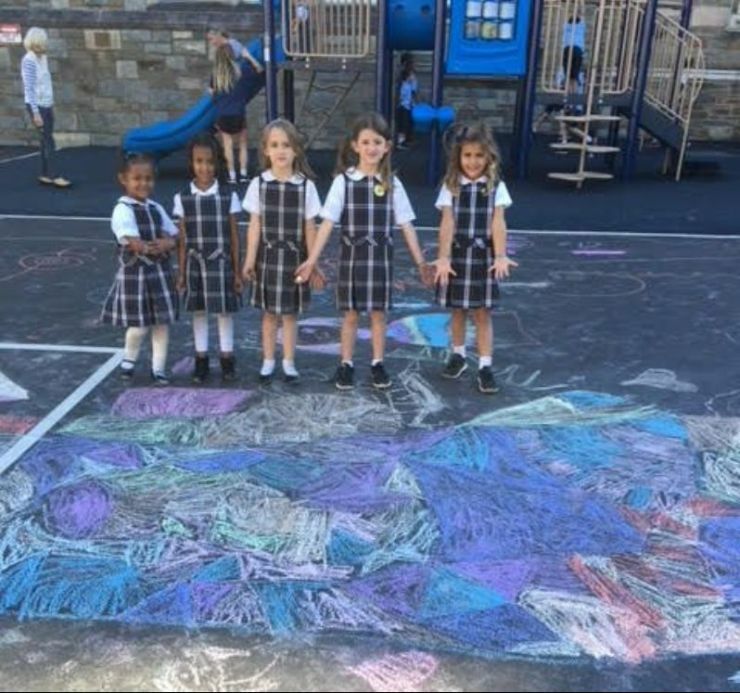 The Blessed Sacrament After Care Program provides a warm supportive environment for children from grades K-6 to play, do homework and relax in the after school hours. Children interact with students from many different grade levels. We believe that after the structure of their day, children flourish and learn by being together, problem solving, and simply being allowed to talk, play and enjoy each other's company. Outside play is a major part of our After Care time. After Care is available starting the first day of school. The information below outlines how After Care can meet both parents and students after school care needs. After Care is a PLAY GROUP. Students can interact with children from many different grades in an unstructured way: playing outside, playing cards and boards games, writing, drawing, reading, etc. We believe that after the structure of their day, children flourish and leatn by being together, problem solving and simply being allowed to talk and enjoy each other's company. Outside play time is a major part of our After Care time. We are especially excited about the use of our new field. We take advantage of this new space on an almost daily basis. After Care is a HOMEWORK CLUB. All students are given time to start homework. Students in grades 3-6 are supervised by a teacher in the school library each day. Younger students who have homework work in the After Care classroom. We encourage all students to finish their homework but we do break for a snack. As children finish their work, all students join in outside play. This "Homework Club" is an optional part of After Care. Parents who prefer that homework be done at home can request that as well. After Care is a PLAY DATE. After Care can be used for play dates. If you do not need a full-time program, students can come just on certain days with a friend or friends. The "Homework Club" can be a good way to have buddies work first on homework and then play with their friends when they finish. After Care is an EMERGENCY CARE and TEMPORARY CARE program. If there is an emergency situation which requires that your child remain at school on a particular day, the After Care Program can provide care at short notice. In addition, if there is a need for temporary short term care (perhaps parents or other caregivers need to be out of town), After Care can be used just for a few days or weeks. After Care is for WORKING PARENTS. The After Care Program provides care until 6:15pm each day for parents who work. Our program is reasonably priced, supervised by teachers and available on most full and half days. Daily snacks are provided. If other payment options (by semester or yearly) are more convenient, this can be worked out through the coordinator, Susan Albertson. After Care allows for participants in OTHER SCHOOL SPONSORED ACTIVITIES. Students may come to After Care before or after going to other school sponsored activities. For example, if children have basketball, choir, band, art or any other activity, they can come to After Care before or after their activities. For more information about After Care , please contact Susan Albertson at salbertson@blessedsacramentdc.org.